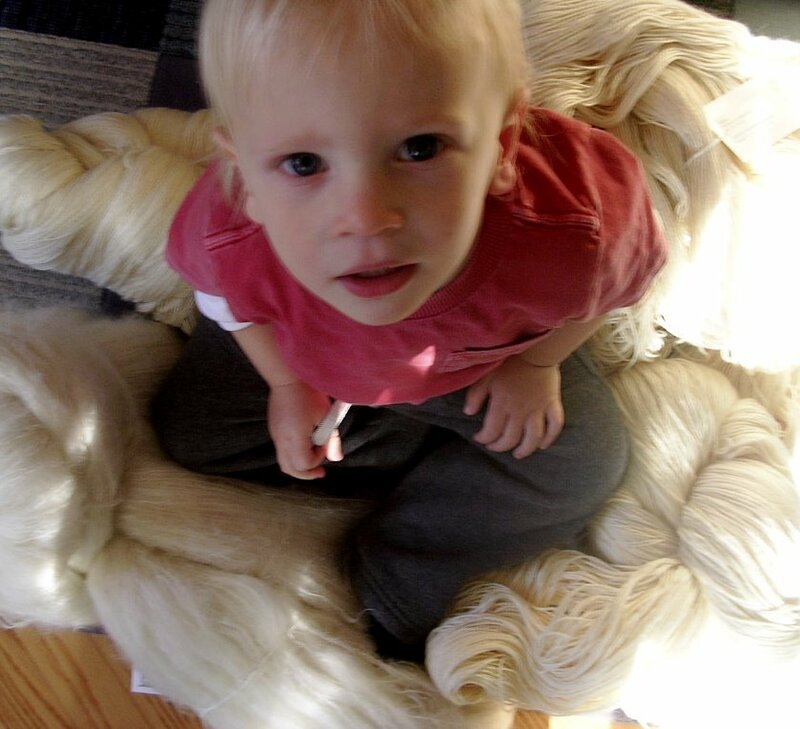 This is over seven pounds of wool (two weights of sock wool, laceweight wool and merino, dk weight wool and mohair, and fine kid mohair) that I will dye with roots, barks, flowers and bugs and sell at The Winter Fair at the Waldorf School of Philadelphia on November 17th and 18th. Philadelphia area knitters save the dates. Details and pictures of the finished yarns to follow. Sorry about the missing accent. I can't find out how to make it appear. remember me?? I'm drowning in schoolwork the way you're drowning in yarn and natural dyes, but it's just as good and a little less messy. Winter fair dates noted - will be on hand to purchase wool, etc. can't wait to see what you cook up!! just found your site through Cara's - I had to come and see the woman who pairs the full monty Fage with Buttermilk Cake! I'm going to have to try it!